Common ISO 14001:2015 Misconceptions - Tavares Group Consulting Inc.
It’s been 9 months since the release of ISO 14001:2015 and, as expected with the release of any standard so drastically different than previous versions, there still exists some common misconceptions and uncertainties among those responsible for implementation. Transitioning to a new standard is no easy task and shouldn’t be taken lightly; organizations must put in the work to identify where their EMS is lacking and needs supplementation, and then implement changes by September 2018. Unfortunately, these tasks can be exacerbated if personnel have misconceptions on the interpretation of the standard. ISO 14001:2015’s Annex A, in addition to the newly released ISO 14004:2016 are great resources that organizations should reference for guidance on the standard to prevent misinterpretation. Misconception 1: ISO 14001:2015’s overall clause structure has changed in addition to new terms being added; this means I have to change my organization’s EMS manual, procedures etc. to match. TGC: ISO 14001:2015’s clause structure is drastically different than the previous 2004 version. This change was implemented in order to align ISO 14001 with other ISO standards using Annex SL, ISO’s new management system format. 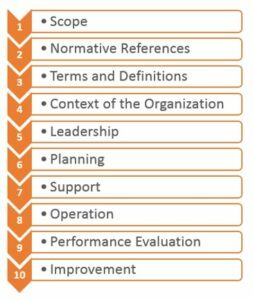 Although the standard’s structure has changed, this does not mean an organization needs to change the numbering conventions used within their internal documents. Similarly, the new standard incorporates new terminology (e.g. compliance obligations, documented information etc.) that are now standard across ISO management systems. Your organization is not required to replace existing terms within its EMS documentation. That being said, should you choose to maintain your current document structure and terminology, you need to be certain that it addresses the new requirements and the intent of ISO 14001:2015. 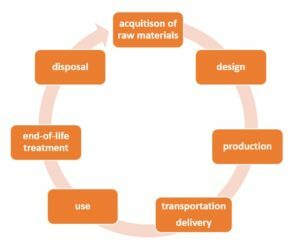 Misconception 2: ISO 14001:2015 talks about ‘life cycle’; this means I have to do a life cycle analysis of my products and/or services. TGC: As stated within the scope of ISO 14001:2015, “[the] International Standard is applicable to any organization… and applies to the environmental aspects of its activities, products and services that the organization determines it can either control or influence using a life cycle perspective”. ii) organizations to establish controls to ensure its environmental requirements are addressed in the design and development processes for the product or service, to determine its environmental requirements for the procurement of products and services, communicate its relevant environmental requirements to external providers including contractors, and consider the needs to provide information regarding possible significant environmental impacts associated with the delivery, use, and end-of-life treatment of its product and service consistent with a life cycle perspective. As you’ll notice, the standard requires organizations to use a life cycle perspective, not conduct a life cycle analysis. Also, ISO 14001:2015 does not list any normative references. If life cycle analysis is something an organization wants to consider, they can look to ISO 14044:2006, Environmental management – Life cycle assessment. Organizations that are currently utilizing this standard can integrate it within their EMS to ensure efficiency within their business processes. Misconception 3: ISO 14001:2015 talks about determining and managing risks and opportunities; this means I need a risk management system. TGC: The new standard explicitly requires organizations to determine and plan to take actions to address the risks (threats) and opportunities (benefits) associated with the needs and expectations of their interested parties, their environmental aspects and associated environmental impacts, and their compliance obligations. The standard does not prescribe how an organization is to manage risks and opportunities, as this process wholly depends upon on their context, which is individual to an organization. That being said, organizations will need to demonstrate that they have determined and are managing their risks and opportunities. Also, ISO 14001:2015 does not list any normative references. As such, a formal risk management system is not required however, organizations interested in risk management systems can look to ISO 31000:2009 – Risk management. Organizations currently utilizing this standard can integrate it within their EMS to ensure efficiency within their business processes. Misconception 4: Preventive action is no longer a clause in the standard; this means the concept of ‘preventive action’ is no longer part of the standard. TGC: While the actual term and clause on ‘preventive action’ has been removed from the new version of the standard, the concept has evolved and is built into the standard itself; one of the key purposes of an EMS is to act as a preventive tool. 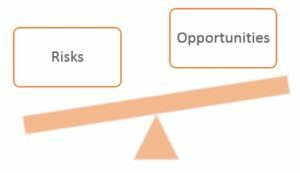 The concept of preventive action is now captured within Clauses 4.1 (Understanding the organization and its context) and 6.1 (Actions to address risks and opportunities), as organizations are now required to identify and manage their risks and opportunities. The resulting EMS becomes a system of preventive action in and of itself. As Benjamin Franklin said, “never leave that till tomorrow which you can do today.” In other words, don’t put your transition to the new standard off to the last minute. Giving your organization ample time to identify gaps and implement required changes in order to meet the new requirements of ISO 14001:2015 will allow your organization to be better prepared for your external transition audit, and ensure a successful transition. Having a comprehensive transition action plan complete with timelines and responsibilities will set your organization up for success. As with any change, there are sure to be some growing pains; make sure to plan for delays in the implementation of new processes etc. Current ISO 14001:2004 certifications will not be valid after three years from the publication of ISO 14001:2015 (September 15, 2018). Keep in touch with your certification body to stay up-to-date on their internal transition timelines and consider these timelines when developing your transition action plan. Various certification bodies have also developed transition-specific tools including training sessions, white papers, assessment tools etc. to help your organization on it’s transition. Since the release of ISO 14001:2015, Tavares Group Consulting has been successfully guiding our clients through gap analysis, planning and implementation processes. Our variety of management systems services are scalable to our client’s business needs in order to support successful transitions to the new standard. We provide our clients with unique and cost-effective solutions. In doing so, we place great emphasis on knowledge sharing to ensure we leave client with the skills, experience and confidence to carry the results of projects forward. For more information on how we can assist your organization on the transition to ISO 14001:2015, contact us!